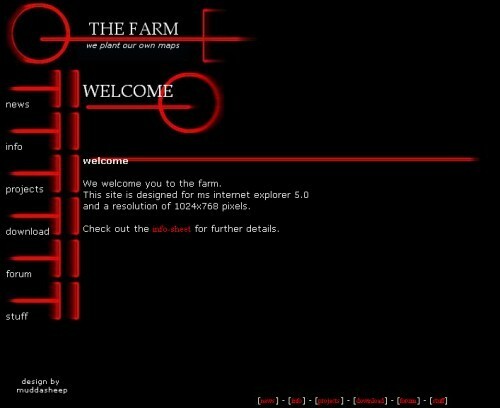 Around the year 2000 - The Farm was created by muddasheep (that's me!) and a friend nicknamed kell.hound, based on the idea of coming up with maps and releasing them on a shared platform. kell.hound was leading a project called "The Search" (a Half-Life single player mod) and I was working on various Counter-Strike maps (cs_therock, de_basin, cs_remember). The Farm design changed on December 09th 2002. 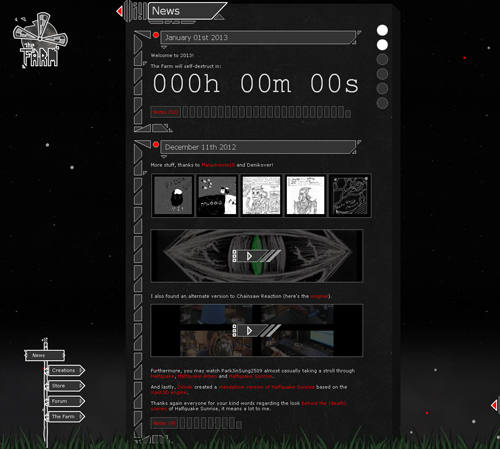 In 2013, the Farm exploded and made way for the new version.